Jesus saved my soul. GTD saved my future. Really, it did. When started working at church at 19 I had no office experience. And although in my melancholic, creative nature there is an obsessive and meticulous organiser within me, unfortunately I have historically had a nasty habit of never implementing a system because I could never get it ‘perfect’ enough. From 19 through to 25, despite the public successes I had, the lack of organisation, mental clarity, and ability to lead and to delegate was killing me. Let me paint the picture for you. I could start a massive youth initiative, but I couldn’t keep it organised. I could start a great TV programme, but I couldn’t continue running it after the start-up energy drained. I could sit and share great ideas, but couldn’t implement them. I could start many, many things, but I could never finish them. It is a curse and a form of mental torment to have potential, be a thinking person, see beyond the normal things, but be hindered from getting what is in the nebulous of your potential within you, out of you. After I got thrust into business it was by need and by chance that I discovered this article on Getting Things Done. I cannot begin to explain how after just one read it transformed my thinking. Years of struggling with organisation, leading myself and others, etc etc, I would estimate were cut down by two thirds in my life through reading the book by David Allen. How? Authority. Because you have a system for delegation, for reporting, for getting things done, you have new found authority in every area of your life, which gives your more mental stamina and power to delegate with confidence. I’ll be posting my thoughts and experiences about GTD, and my setup in particular, in the coming months. As for now I want to emphasise the need for a system to every reader, and especially every Christian who wants to be in ministry. God is a God of order (1 Cor 14:40), and Jesus counsels us that no one should build what they cannot finish (Luke 14:28-30). Running your to-do list, diary and filing is a foundational part – and something I teach to everyone who works with me or wants to learn from me. And by-the-by, if you’d like to attend a GTD workshop in Exeter (and the surrounding area), then let me know! David Allen (aka GTD Guy Himself!) retweeted this post, which is very special for me considering how much he has impacted my life this year. Props also to @mickmel @pastorhudson @creativescott @singfiel @chadbrannon all for retweeting that retweet. Scott, your articles get better and better. I’m now off to order the book and yes I’d be interested in attending a workshop. Dave I really appreciate that. And there’s no hype, GTD really did save my future. I was a gifted young man but without discipline and order and I see so, so many people in the same boat, who just self-destruct because they can’t manage their finance, to-do list, calendar, bills, home life. I really do think I’ll need to get an Exeter GTD workshop going now then! Scott –I loved your enthusiasm for GTD as you implement it in your life. GTD has had something of the same impact upon me. I still get out of order, need to re-awaken my commitment, go back to basics, figure out when I’m not doing something because it no longer interests me, and should be removed from my next action lists, perhaps moved to my someday/maybe list or deleted altogether –GTD is a constant process, and for me, it reinvents itself routinely, or perhaps its that I reinvent GTD as molded specifically for me over and over. GTD does not fail me. When things are slipping, piles growing, GTD marches in an takes over, and soon I’m smoothly progressing in whatever domain that is of interest (to me). I am eager to hear details of your process, what tools you use. I’m a clinical psychologist, professor, clinician and researcher so I think some of the tasks you follow may be similar to mine. Bring it on! Thank you *so* much for your comment and remarks. When you say “it reinvents itself routinely”, I’ve found Evernote to be a big part of my GTD strategy. And what I think you are saying – and I have found – is that GTD is the bedrock for further implementations of organisation in my life. I now have a daily routine, based on GTD. I have a way of reading / writing / relating, all based on GTD. And what this does is mean I capture the info, process, organise and review it properly. As for “When things are slipping, piles growing, GTD marches in an takes over” – this is exactly where GTD saved my future, like you’ve related for your own life. I got to tweet David Allen earlier today and just said “thank you” – when I compare GTD in someways in the natural to what Jesus has done for me in the spiritual, I am not exagerating. Thanks again Lynn, I’m looking forward to connecting with you more and more! The stress of ministry is often overwhelming. The commitments we make to people are often of life changing importance to them. Before GTD I made commitments that I fully intended to fulfill, but because I didn’t have a system to help me remember those commitments I was constantly failing people around me. Even more often though I carried a crippling weight of looming guilt, shame, and fear that I was forgetting to do something or that I was not following through on some project I had committed to. Even when I had fulfilled all my commitments; I couldn’t enjoy my family time, and my creativity was marginalized because I had so much fear I had forgot someone again. GTD has helped calmed the internal sea. I realized that in all the spiritual training I had never been given the practical tools to implement a system to manage my commitments. 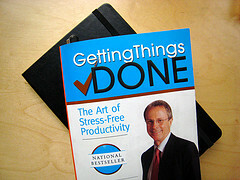 I heard about GTD in passing on some podcast or website and got David Allen’s first book on iTunes. It instantly made sense to me. It was the missing peace(pun intended). I admit I have fallen off the wagon now and then, but each time I come back with a bit more understanding and success. The David Allen Co. podcast has been a helpful tool to keep me excited about investing in my system until I have mind like water which is interestingly a type of Christ and his Word in Psalm 1. I love Davids approach in studying how we are made, and teaching us how to adapt our system to how we are hardwired. There are many Biblical parallels. Great post. This kind of information is soooo needed with pastors. With 1500 pastors/month leaving the ministry due to burnout (among other things), the basic principles of GTD can make a world of difference. God bless you in your ministry and marketing biz. Scott, this is great stuff. I’ve implemented GTD for myself in 2009 and it has revolutionized our ministry at Worship Concepts Network. The impact on our productivity has been so profound that I’m regularly asked how I might suggest GTD be implemented in the churches we consult with for worship. Seeing as you have an in with David Allen (@gtdguy) maybe he would consider starting a Getting Ministry Done component with us being coaches for churches. 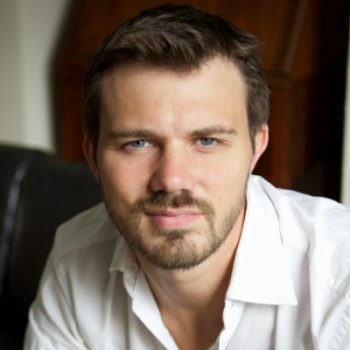 Hey Joe – thanks for the comments! Glad to hear that GTD has helped you and you are using it to help others. As for David – I don’t really have an “in” with him at all! Just the wonders of social media. I am, though, preparing a resource about GTD and churches which I am keen to get all of you involved in. As mentioned in these comments, the pressures of church are intense, and many of us I’m sure have used GTD and modified it to handle these pressures. I look forward to interacting with you, brother. GTD has made a huge impact on my efficiency at work. I’ve yet to apply it to my personal life (and yes, I know it should all be combined), but I’m gonna get started soon. Great article and recommendation, thanks. I, too, had my heart and life full of activity – Sr. Pastor, Police Chaplain, City Chaplain denominational leader, etc. I was drowning! I spied GTD in the local bookstore and read it through twice before implementing it. Never looked back! I now have my 10-50,000 ft. Horizons in place and am loving being in ministry again.